Music production is an interesting case study in reproducibility, network effects, and the economics of late capitalism. It’s also pertinent for me as an electronic musician. Due to the heightened competitive environment in China, platforms can not afford to not simultaneously seek alternative revenue streams and find ways to monetize without harming the user experience. Take Tencent, for example — a consumer internet company with skyrocketing revenue and a very diversified revenue stream… In Tencent Music, there are leaderboards for gamification, social radio and singing, live concerts, and even a TMZ-type portal for discovery. In short, there are many ways for listeners to engage with music and the artists. But perhaps the biggest difference of all is that the company’s focus is not just listening and consuming music, but also creating content and allowing users to earn money. 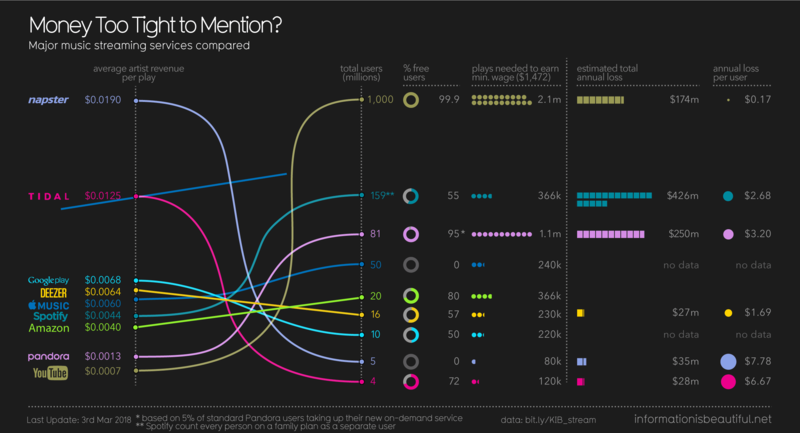 There are certain obvious trends with streaming music production. Platform logic, under the seductive narratives of equal access and ‘democratisation’, has gutted the institutions and habits (i.e PAYING FOR STUFF) that make artistic social mobility possible. Equal ability to publish something means nothing when only those with the ability to fund promotion of the work are discovered. I’ve said it before, there will be an abundance of free culture, and free time, in the slums. Amazon can produce your product cheaper than you can, and strong arm you out of business unless you work with them. Facebook can acquire any competitor before they become dangerous. Pop music can appropriate and spit out your micro-scene before it has any ability to generate its own momentum, or it’s own funds. Mat Dryhurst is Holly Herndon’s parter, and quite the thinker. >… these great stories that we have told ourselves, about independence, >and about free circulation of information and music, are worth challenging. Not >in a reactionary way of embracing DRM and antiquated hierarchies, but it is >worth experimenting with some new logics that haven’t yet been tested, and >might work out to be more equitable and healthy. We can’t be imprisoned by >these old narratives when they clearly aren’t working out. How do you turn music into money? The hype economy, is well established here. We’ve all known about Payola forever. There are even academic attempts to quantify it (e.g. the classic Salganik, Dodds and Watts. Here are some services for me to review at a later date to weaponize it. But even these are under attack by platforms such as facebook and instagram eating the market as grinding music into a kind of decorative social relevance glitter with which to dust their drab offerings. This is a whole other thing. There is a huge grey→black market in the world of implied social relevance for the walled-garden streaming platforms such as Facebook and Spotify. But the practice of paying for placement, as with other forms of payola before it, hasn’t died out. It’s just been remixed.